My 2nd grade in Primary School was the least favorite year of my school life, or at least, this is what I thought back then. My mom took me to Tirupathi during the summer holidays of my 1st standard to have a barber shave my head. This was done to please God in return for a favor He had bestowed upon us. So I went to PS that year wearing a pink frock and a pale yellow hat. Little did I know that I was in for some serious bullying. Now kids don’t generally think much. They say and do things without actually meaning much harm. So most girls always forgot my real name and began calling me Gundu (the Telugu word for a bald head), girls wanted to pull my pale yellow hat off my head, while some girls wanted to use my bald head to play tabla, some others wanted to run their hands across my head and feel its prickliness. It made me angry. I used to scream, fight, and complain to the teachers, but after a while I just let go and became very quite. Our school followed the regular norm like any other school except you could throw in prayers five times a day. We were woken up class-wise, sent downstairs to brush in the kitchen pantry, came back upstairs to sit in a queue to where ammas would give us a quick bath, sent to have our hair checked for lice (which we fondly called butchi-checking, I have always wondered why), oiled and combed neatly and then sent downstairs for breakfast followed by assembly before we went to class. It took me very little time to understand that since I could skip a big portion of the regime, that being the hair-service, I could be the first in class. Now don’t ask me what’s the big fuss in being first. I don’t know. In a class that had anywhere between 35 – 40 girls, being first was always a big deal. I just had to be the first one to wake up, and be first in the line to brush. The rest would follow. And that is exactly what I decided to do. Soon I came first in almost everything. The teachers began to like me and my class girls, not so much. They thought I was greedy and was taking advantage of the fact that I could skip butchi checking. I had competition and I always won. Eventually, calling me Gundu became incessant and I had no friends. Absolutely. We had the December and early January every year dedicated to Sports Practice. This meant that we participated in various dances or drills and performed on January 11th, the Sports Day. Sports time was always fun. We were baked under the sun for several hours and treated to Rasna, we had no classes for more than a month, could wake up late, and just hang around in the dorm playing Charlie Chaplin, Categories, will you please, The queen of the palace, and other odd games. But before we got into serious sports practice, we would have one last Parents Meeting at the beginning of December after which we could only see our parents on Sports Day. My mom had come to see me and I had persistently bothered her to get me a Hajmola bottle. 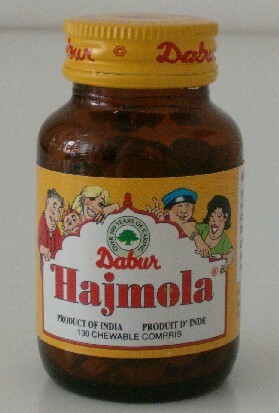 I loved the Hajmola tablets, most kids did. You didn’t necessarily need to have digestion issues to take it, it served more like tasty candy, it was sweet and sour and tangy, all at the same time. They were 130 tablets of pure joy in a dark bottle. Since we were never allowed to take outside food into the school, I was worried as to how I could fool the teachers standing at the blue grill entrance and take it inside. Just as I was thinking of a plan, my parents bumped into hers. Apparently, they knew each other and were acquainted for a long time. They introduced us to each other and I realized that she was my senior. We didn’t really talk much since you never really could be friends with your juniors or seniors. Anyway, she figured out that I was planning to take the Hajmola bottle inside and decided to help me smuggle it inside. We both held the bottle in our tiny palms, and acted like we were holing hands, bid goodbye to our parents, and marched into the lobby with confidence. I must admit that there wasn’t much checking going on either as it was the last parents meeting for the year and there were just too many people. As soon as we went upstairs to the dorm, we had a good laugh. I took a look at her and decided that I liked her instantly. She was nice. She suggested that we hide the bottle away in my shelf, between my clothes lest anyone finds out that I had it. I did so but before that I decided that we both deserve a treat. From then on we became the best of friends. We always hung out together. It was sports time and so not many people would notice that a junior and senior were hanging out that much. She yelled at people who called me Gundu, and always saved a seat for me next to her in the dining hall, and gave me her glass of Rasna as she didn’t like it. And I, shared one Hajmola candy with her after every meal. The word that I had the Hajmola candy was spreading fast. Soon my class girls began to approach me for them, and I gave two to people I liked, and one to people whom I didn’t. I always had to give the candy cause they could go and complain to a teacher that I had smuggled goods if I didn’t. Apart from the daily after meals dose, I began to give her one candy each time I had my class girls ask me for it, since she was almost always with me. She also suggested that I hide the bottle in different places in my shelf each day. That way nobody could steal the candy. This went on for at least about 10 days. I was on the verge of forgetting the fact I had been bullied and friend-less for a major part of that year, and was happy. Happy for having finally found a friend. One afternoon, we were sitting in the dorm ready to go out for the drill practice when she came up to me and suggested that we both go to my shelf and pop the candy. I wasn’t in the mood but I couldn’t say no to her, so I told her she could go help herself since she knew the hiding spot for the day. That was probably the very first time she was going to have the candy on her own. She came back a few minutes later, and whispered into my ear, “The candy is gone. Someone stole it. All of it, except two.” I was shocked. We both ran to my shelf and I turned it upside down and looked for it everywhere. “Where could they have gone? Who would steal them”, she asked. I couldn’t imagine. And why would someone leave just two of them and take away more than 70. Very sympathetic, eh!?! I took the remaining two in my hand and was about to pop them into my mouth but stopped myself. I took one of them and offered it to her and she thanked me profusely. And we marched out for drill practice. That evening, she didn’t give me her glass of Rasna and later that night, she didn’t save me a seat next to her in the dining hall. I tired to go and talk to her a couple of times but she was always busy with her classmates and pretended like she didn’t hear me. I didn’t have to be a genius to figure out that she was the only one who knew where I hid the bottle, and that it was the first time she went alone to my shelf to take the candy, and that she stole all of them. Of course, it wasn’t just about the candy. As a 7 year old kid, I was heart broken at the treachery. She was in the same school for 10 years after this incident but I never spoke a word to her. I knew that in life I was going to be through friendships that maybe be more sour than this. But this one was my first, and it taught me what kind of a friend I should never be. Although you hear me rave about Pepper Mushroom from Punjabi Dhaba on Mount Road, Paneer Tikka from Angeethi on Banjara Hills, Palak soup from Athiti in Ameerpet, and Gobi Manchurian from a hundred and one odd places, in my opinion these appetizers are mere soldiers in the mighty army. This invincible army, in the kingdom of food is solely ruled by a supreme master – His Highness Mango Pickle. The very thought of a plate filled with hot rice, ghee, and this spicy superstar tingles and lures my senses to the “jagrathavastha” with a demand to satisfy the needs of both, my stomach and my senses. I hereby declare “Mamidikaya Ooragaayi” as the outstanding appetizer, main course and the dessert (the mango piece of course ;-)). My dad owned a mango groove, and when I was about 4 years old, one pleasant morning my cousins dragged me into it against my will and I had my first bee sting. My pain turned into anger and hatred for the fruit. As a kid, every summer my mother took me mango shopping. I forcefully accompanied her to the “older part of the town”, where the ideal mangoes could be found. The entire pain of walking through dirty lanes where auto drivers honked annoyingly, and waiting to have your mangoes chopped to the desired size, and the rehearsed ritual of buying new spices for the occasion of pickle making always seemed mysterious to me. What kind of sadistic pleasure did my mom and grand mom find in mercilessly preserving tiny mango pieces in loads of spices and salt? Why weren’t they gracious enough to let the pour souls ripen in a month or two and let us have the beautiful yellow fruit? This kind of negligence to “torturous bliss” probably developed because as kids we were denied the pleasure of having too much pickle. And, like they did us a great favor, the elders would graciously say, “Eat your food, I’ll wash the pickle piece and give it to you”. The unnecessary drama put up by my school teachers was unforgivable. We were practically not allowed to have even little pickle gravy until we turned into 5th graders. It made me ponder if Grade 5 stimulated taste buds to withstand spice. Huh! Here is the extent of embarrassment that I went through just for a slice of mango pickle. Like I said earlier, we were served pickle only from Grade 5, always. This particular episode, however took place when I was in Grade 4. All the lucky stars of the 35 girls in my class, got together and were in a happy disco dance mood perhaps, our H.M Aunty ordered that we could be served pickle for lunch that day. Red pickle was always served to us from a small yellow bucket, this bucket seemed to me like a path to liberation or loose motion (I don’t care ;-)). My joy knew no bounds and after a true heart /stomach filling meal, I carefully took my very own pickle piece and washed it cautiously in the dining hall pantry, held it like precious gold (very close to my heart) and made a dash to the girls dormitory. I began nibbling the piece little by little, with loads of relish. Even before I was done we were sent to bed to take a short nap. Selfish that I was, I decided to keep half of the piece for the next day. Now this whole thing had to be done slyly as bringing food outside the dining room was considered a punishable offense. Thinking of many possible ways to hide my treasure, I sought the refuge of my pillow cover at last. My shelf wouldn’t be raided and I could escape with ease. And that is what exactly I did. It WORKED. The next night, when everyone was asleep I put my hand into the pillow cover and removed the half-eaten piece of mango pickle. Trust me, it was one of the most gorgeous thing I had ever tasted. Probably because of the extreme dryness, or the stale factor (I do not know), this tasted like immortal nectar that all the Asuras fight for. I chewed on it like it was gum for a while, and loved every bit of it before the swallowing part. I only wish this was the end! That tiny piece had woken up in me, the devil of desire for a dry mango piece. I decided that it would be my protocol each time we were served mango pickle. Two months later, another festive occasion came by and our dear H.M bestowed upon us the boon so restricted to the “big sisters and brothers”. The same steps were followed. Everything went on smoothly until the party time. We had some sort of a quiz that night and I was one of the last ones to finish it before I headed upstairs to my bed. As I approached my bed, there were a group of people around staring at it. My classmate came running towards me and said, “It was weird, there were red ants all over your bed. I did not know what to do and began dusting it and there was a dried up pickle piece. Hey! And Geetha Ma’am wants to talk to you about this”. I went heart broken to meet my class teacher and the rest was history. The royal shouting and punishment was less painful that the pining over the lost piece. I was about 6 years old, when I took my entrance exam at Sri Sathya Sai Higher Secondary School. I vividly remember being coached for an entire year for it. I excelled in Math then, yes I really did. Basically I was good at anything and everything. I believe that was due to the enthusiastic childish spirit that refused to take “NO” for an answer. My mom often narrates one particular episode to most of my friends. This happened when I was in my 1 st grade. I had secured the 2 nd rank in my class. I couldn’t bear defeat, God knows why, the “it’s all a part of life” was absent in my dictionary. I forced my mom to take me to the HM and ask her why I had stood second instead of first. After a little bit of illegal and unauthorized digging into the exam papers, my HM told me that I had lost the first place to another girl, by one mark. ONE single mark. Oh yes, and I remember my mistake too. I had gotten my “umbrella” spelling wrong. Mine had a ‘single L’. Perhaps this incident played a major role in impregnating into me, the fact, that the value of a small, minute element often has a large, inversely proportional consequence. Coming back to the entrance exam, it was a beautiful day in May 1991, and we were seated in the AB dormitory. I was given a set of Math and English questions to solve. I set to work immediately, with a practiced Om symbol on the top of my exam sheet. There I was ready to give my best, to make a dream my mom and me shared for one whole year, come true. I went through, solving and answering, almost everything with genuine ease. Finally, there it stood in front of me, a question I haven’t been able to answer till date. It was in the category of ‘set the jumbled words right’. OLEV. I stared at it for a moment, blinked at it for two, sent memory soldiers on a tour in my head, nothing worked. Of course, I wouldn’t give up. I had already tasted the bitter fruits of a single mark. Time flew, refreshments came and went, interviews were done with, and almost when the time was up, my vain despair turned into hot tears. I couldn’t let go. And, so much like god sent, Vasanthi aunty came by, saw me crying and looked into my paper, wiped my tears and whispered into my ears, “It’s LOVE”. My joy knew no bounds, I quickly scribbled it on the paper, and marched out with a proud smile on my face. Also, completely clueless about the magnanimity of this word, I wondered in my head, why would a spiritual institution been so interested in asking a question about some crap they show in the films between a hero and a heroine. Yes, at the age of six, love perceptually meant that to me. And I did a shhhhh!! to my head and went to meet my mom outside the silver sarvadharma gate. The sshhhh came because my mom had strictly told me that talking or thinking about movies there was a huge crime. I’ve grown to understand that love is something more than the feeling between two people running behind trees in a song sequence. I’ve come across different levels, and types of it. I’ve been with people who do insanely crazy things with the excuse of being madly in love and also with people who think love is a mere enormous commercial “word” which in its true sense doesn’t exist or have a meaning. I have experienced love in practically all its forms, right from its Divine aspect to being in immense love with a baby boy who isn’t my own. I have blushed about it, laughed in it, mourned over it and mocked at it. After everything said, felt, and done, why does LOVE still appear to me, jumbled?? Why? Girlfriends! :-* A constant factor in every girl’s life, whether rich or poor, good or bad, single or committed, heartbroken or in a complicated relation, is a girlfriend. Referring to an anonymous point of view, most love stories begin with hatred. Weirdly, most of my girl ‘love stories’ either begin with hatred or seem to have in them a period of extreme hatred. I often tend to owe the hatred portion to my extremely passionate mood swings, outbursts of anger (often unnecessary), in addition to the inevitable external forces of circumstance. One of MY favorite love/hate story is the one with Navya, The Jajimi in it (you would understand why I address her so, if you knew her mastery over the English language) ;-). She also forced me to blog about her. 12 years of togetherness din’t do much, and neither of us made any effort to stay in touch. But love happened immediately when I met her 3 years later. She had become a woman, my ideal girlfriend material. 😀 Her sense of maturity, her constant concern, the ‘you can wake up me at midnight and cry, I’ll be there for you’ attitude, and almost everything along with her silly, irritating mockery, I love it all. When I am with her I realize that almost everyone laughs at others, but it takes a great deal to make jokes and laugh at yourself. Yes, my girlfriend can do that. And like all my other friends agree, she is indeed ‘the ghee’ of the meal, meaning, her presence DOES make a difference. With her we are one crazy fish market . She is a person who can constantly call me ‘Taataki’ and still be one of my best friend (I will never forget that she din’t make it for my graduation though). Navya and me, we have walked similar paths, crossed similar horizons and drowned into similar oceans, all hand in hand. 🙂 I’m as glad as glad can be, this hate story turned into love. 😉 Baby, this one is for you, you ask and it shall be granted. In my prayers, I constantly tell God, “You have given me relatives, thank you for letting me choose my friends”. An Invention of the Rubber! Although rubber in almost all its forms 😛 was invented before the year 1992, there was an attempt to invent a really huge, flavored and colored rubber (yes, I know we are technically supposed to call it ‘eraser’) by 7 year old researchers in one of the world’s most sanest laboratories. The scientists involved in this episode were all in grade II, and they had in them a keen urge to liberate school going kids from carrying boring, odorless white Nataraj/Non-dust/Camilin rubbers. Whether their attempt was successful or not, shouldn’t be given importance, trust me you will know why towards the end. The first scene in this episode goes back to my grade II dormitory (the precised lab setting) when we all decided to ‘make’ a rubber that we could be proud of, to use. Well, the recipe isn’t patented but I would still like it if you didn’t copy our experimental procedure. As far as my clearest memory can go, this method was suggested by my friend Gaya (coincidentally, today is her birthday). To make a rubber, here are the ingredients you will need along with how you should use them. The ‘top part’ of a soap case (criteria: it should not have any water outlet holes), a ‘few’ ml of your favorite shampoo, and a ‘few’ grams of your favorite talcum powder. The ‘few’ here is directly proportional to the size of the rubber you want you make and the longevity of its odor. And so, you mix all the ingredients in your soap case and (this is the most innocent part of the story) put the soap case by the window sill in your dorm to dry for a few days. Of course, if we were allowed to keep perfume with us then, I’m sure we would have been asked to add a ‘few’ drops of them too. For some nice reason, the only cosmetics we were allowed to keep in our shelves were the soap, shampoo and talcum powder, not even the toothpaste. Yes, I repeat, not even the toothpaste. Wondering how we brushed? Every morning and night, we formed a line with our tooth brush to get paste. Our Warden aunty would be seated on a silver color trunk (the ancient form of a suitcase), patiently holding each brush and ‘putting’ paste. We walked up to her each day, and said “Sairam Aunty” before and “Thank you Aunty” after. I have grown from inventing rubbers to writing board exams, passed grades and changed dormitories, but each morning she sat there, without fail, taking care of little children. Aunty is a woman of substance and everybody’s favorite. I definitely cannot confine the possibility of describing her into a single paragraph or blog. Such is her impact on me. My learning and deliberate usage of the word “picchi-vada” is a sheer attempt to be at least a little like her. I should also mention here that I have a dear friend, (name undisclosed) who had a great affinity towards eating talcum powder, Cuticura to be specific. Hmmm, coming back to what our little scientists were working on, the mixture actually never dried up, despite lying by the window for days and days. Our plans to launch the rubber that would smell like your favorite fruit and have the shape of your favorite cartoon character (we had wonderful artists who had offered to the shaping part) had to be given up. What else can researchers do when they run out of materials and grants? Anyways, I am just glad and thankful that ‘senior scientists’ addressed this child issue with a solution, because in the future if my 7 year old kid asks me for an eraser that looks like Popeye and smells like strawberry, all I have to do is go to a nearby store (rather than sit by a soap case at the window :-D).